The San Antonio Public Library welcomes Julián Castro, former Mayor of San Antonio, the 16th U.S. Secretary of Housing and Urban Development under President Barack Obama, and the author of “An Unlikely Journey: Waking Up from My American Dream." Castro will discuss his new memoir. This is a free event but tickets are limited and registration is required; visit juliancastrosapl.eventbrite.com. 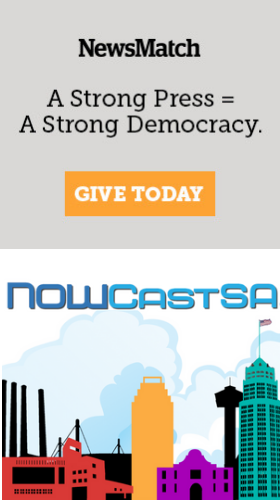 NOWCastSA will be livestreaming so you can watch for free by clicking right here.